Having travelled extensively throughout the world to more than twenty-five countries, Lauren has gained a diverse and expansive understanding of various cultures and human behaviors, giving her a distinct advantage in communicating with people from all walks of life. Having parents who have an interest in property renovations and design, Lauren grew up surrounded by home renovations of multiple properties with six moves within ten years across Australia. This formed a fundamental interest in property of all architectural styles which has led her to the real estate industry. 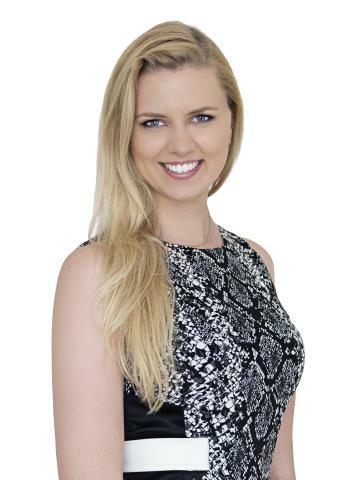 Easy-going and extremely approachable, Lauren’s absolute focus is on helping people which has been evident in all of her past and current professional ventures, having previously worked within real estate sales, new property developments and marketing. Working with various age and cultural demographics at such a personal level has also given Lauren an understanding of the challenges that many different people face on a daily basis. A Brisbane local, she has a very good understanding of the city and the ever-changing landscape of Brisbane’s most buoyant property markets. Working within the highly efficient Rental Place team offering a seamless and stress-free full-service solution to property owners, Lauren is a part of a dedicated property management firm that truly cares about your home and its tenants. BE QUICK Three-Four Bedrooms, Close to Shops, Air-Conditioning, Ceiling Fans, Double Car Lock-Up Carport!! This property is centrally located in Morningside, close to the shops and public transport, with a tandem lock-up remote garage there will be plenty of options for parking. Leave the car at home and walk up to the trendy local shops and cafes. With three (potentially four) bedrooms (the forth could be used as a study or second lounge), all rooms feature built-ins and fans. The property is fitted with flyscreens throughout, an en-suite and balcony off the main, and a bath in the main bathroom (with double entrances). The kitchen/dining is tiled, the lounge is fitted with air-con, sliding doors lead off onto the large courtyard (which is pet friendly- OUTSIDE ONLY) This Centrally Located Townhouse Features: - 3-4 Bedrooms (4th could be used as a study or second lounge) - Built-In’s - Bath - Ceiling Fans - Air-Conditioner - Fly-Screens - Balcony - Large Courtyard - Cover Outdoor Entertaining Area - 2 x Electric Covered Carport - Pet Friendly (but NOT inside) - Close to Shops and Public Transport This property wont last long, call Rental Place TODAY to secure your inspection. APPLY NOW Immaculate Condition, Three Toilets, Two Air-Conditioners, Rear Townhouse, Courtyard. This rear townhouse (in a block of four), is situated the furthest back off the road, with only one neighbouring property. The visitor’s parking space to one side features a gate which opens up into your very own private courtyard. The back door leads onto a separate laundry, spare toilet, open plan kitchen featuring a dishwasher and open plan dinning. Sliding glass doors with flyscreens lead off onto your courtyard. This tiled living area also has a well sized lounge featuring an air-conditioning unit and plenty of storage. Carpeted stairs lead up onto the two bedrooms (the main features an air-conditioning unit, walk-in wardrobe and ensuite). Another bathroom is also located upstairs fitted with a bath. Located in a quiet street only a few blocks from the local shops, bus stops and train station. This Two Bedroom Townhouse Features: - 2 Bedrooms - Walk-in Wardrobe and Built-in’s - 2 Bathrooms - Bath tub - 3 Toilets - Tiled Living Areas - Carpeted Bedrooms - 2 x Air-Conditioners (Lounge + Main Bedroom) - Ceiling Fans Throughout - Fly-Screens - Dishwasher - Balcony - Courtyard - Storage - Rear of Block, away from road - 1 x Lockable Garage - Quiet Street - Close to Colmslie Hotel, Shops and Public Transport This property will not last long, call Rental Place TODAY to secure your inspection!! This gorgeous one-bedroom ground floor unit (quiet couple upstairs) is located in the very popular area of Mount Gravatt East, with off street parking you will find it so conveniently located. The unit is fully furnished and features an extremely large private covered deck to the rear of the property. This Unit Features: - 1 x Bedroom. - Built-in. - Fully Furnished. - 1 x Bathroom. - Timber Floating Floors. - Modern Kitchen. SPACIOUS FAMILY HOME... Multiple Living Areas, Newly Laid Carpet, Double Electric Garage (with drive through access to the backyard) + Much More!! Pull up to this property and park in the one of the two electric garages. This home has been cleverly designed with tiled living and carpeted bedrooms. You will find plenty of space for the whole family, there is a separate lounge dining, family room, study, back covered patio, fully fenced yard and deck- you will have no issues with privacy. Stay cool in the hot summer months, with air-con in the dinning, flyscreens throughout and fans in the bedrooms. With three separate toilets and two bathrooms (two-way bathroom and en-suite), there will be no family fighting over occupancy. This Family Home Features: - 4 x Bedrooms - Built-ins - Walk-in main - 2 x Bathrooms (1 x Two-way bathroom + 1 x En-suite) - 2 x Baths - 3 x Separate Toilets - Newly Laid Carpet Bedrooms - Tiled Living - Flyscreens Throughout - Fans in Bedrooms - Aircon (Lounge) - Spacious - Dishwasher - Multiple Living Areas - Separate Dinning/Lounge - Family Room - Study - Balcony - Covered Patio - Fully Fenced - Pets on Application - Double Electric Garage (with drive through access to the backyard) - Covered Carport - Located only 10 km from the CBD and Brisbane airport, with easy access to a range of shops, schools and transport. A choice of parks and a short walk to Cannon Hill railway station. Properties with this many features don’t come up often, call Rental Place TODAY to secure your inspection! !